Afshar nomads are related to Kurdish nomads who used to live near the border between the two provinces of Kurdistan and Eastern Azerbaijan, north western region of Persia. During the war between the Ottoman and Safavi Empires (Turks & Persians) in the 15th century, many clans were forced to flee their homeland near the border and moved deep into safer provinces in Persia. Nomadic Afshar people were one of these tribes who made a mass migration deep into the south (Kerman province) and settled around the towns of Shahr-Babak, Sirjan and the village of Pardsir. 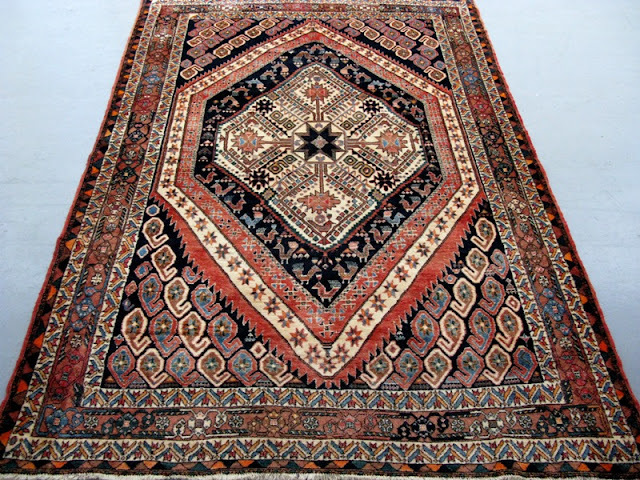 Persian carpets woven by Afshar nomads in this region use geometric designs and are easily recognisable as they are the only rugs in the region (Kerman) woven by nomads. Some of the Afshar rug designs are similar to their Qashqai nomadic counterparts. Over the past five centuries, the influence of the neighbouring Fars province’s way of life and culture have transformed the designs of their rugs. 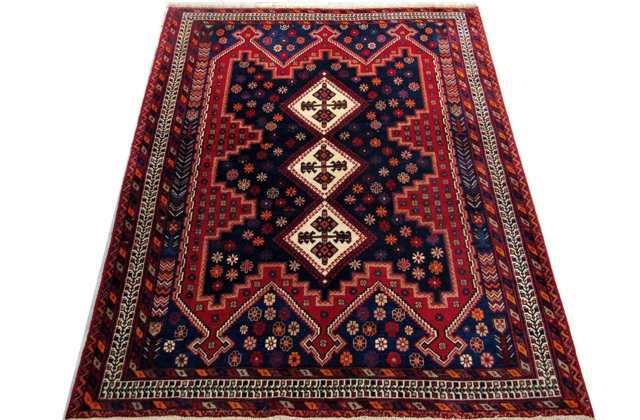 Despite this influence, Afshar nomads were able to preserve some of their own Kurdish/Turkish culture which is noticeable in the way they weave and design motifs in their rugs. 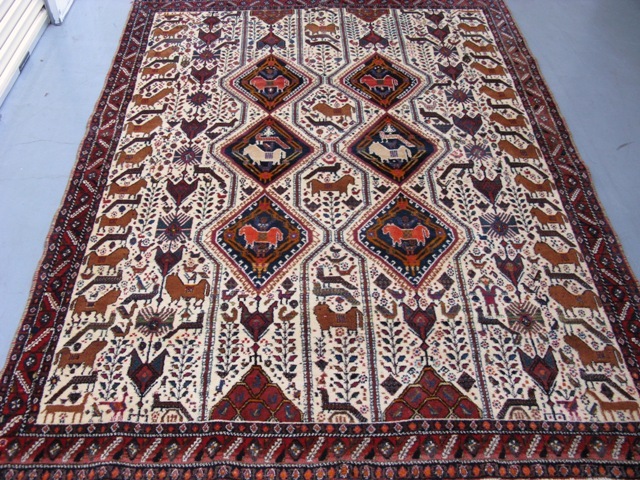 Persian rugs woven in the villages of Marj and Paghaleh use pine tree designs (sometimes in mirror effect) and animal figures such as stylised peacocks, dogs and goats. Most animals are coloured in red, blue, green and black. However when a weaver puts a black goat in the design, it is usually in memory of a lost person in the family. Some of the finer Afshar carpets from Share-babak, have repeated hexagonal panels with stylised trees in the middle of panels and in between. Moreover Peacocks or bird symbols that are seen on the trees, represent Tree of Life design. The majority of Afshar population settled in the city of Sirjan and almost every house in the city has one or two looms actively making bold and strong coloured rugs with thick weft and thus stiffer body. There is no workshop production from Sirjan nor any village or town in which Afshar people live, therefore there is vast and interesting design. Rugs are produced by this tribe for centuries and some of them are highly recommended by dealers arrond the world as potential collector's items.